Yes, we have ROBOTS available for Rent. They can be programmed to do just about any task. Our RoboKiosk® is a Yaskawa Motoman SDA10 Dual Arm Industrial Robot mounted to an aluminum push cart. 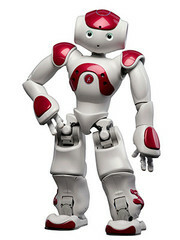 NAO is a fully programmable bi-pedal robot used in education, for entertainment, and Concierge Services. NAO is about 2 feet tall and ours can speak 4 languages; English, Japanese, French, and Chinese (other languages available upon request). We have mobile robots for rent that can be used at Expos, for Television Shows, TV Productions, Music Videos, Hollywood Movies, Robotic Special Effects, TV Commercials, General Entertainment, Bartending, Concession Stand Assistant, the applications are numerous. 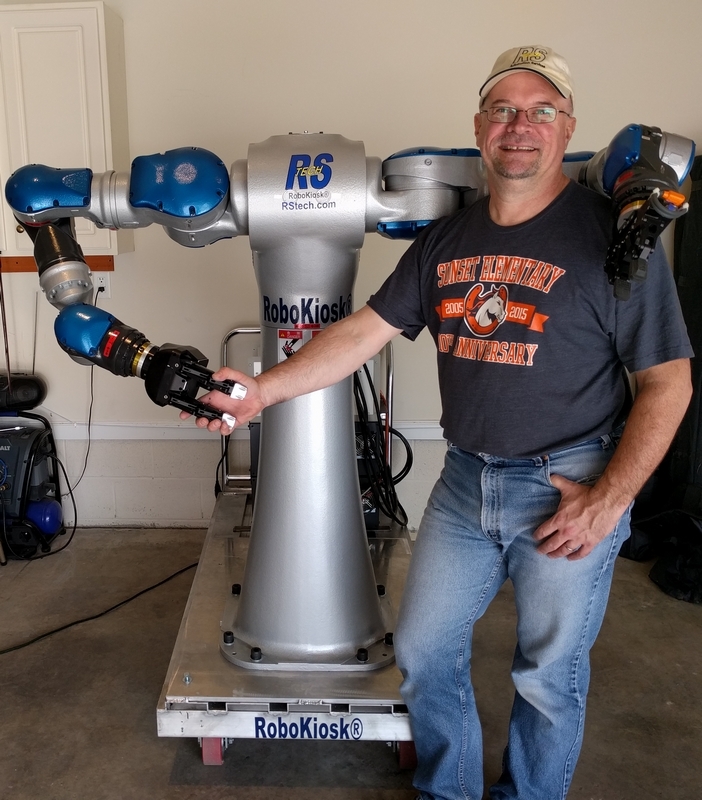 RoboKiosk® is currently programmed to serve beverages from pitchers, bottles, and draft kegs. The robot can pour contents into a 16oz plastic cup from a dispenser, a flute style glass, or beer mug(s). In the YouTube video links below, our Robotic Bartender is performing basic movements and functions. We have beer glasses/mugs on the top shelf, Red & White Fluted Wine Glasses, Champagne Glasses, and 16oz Plastic cups.